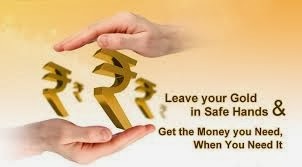 The central bank (RBI) released a notification titled "Lending Against Security of Single Product - Gold Jewellery" stating that the loan-to-value (LTV) ratio for the NBFCs has been raised to 75% of the value of gold pledged as loan from the earlier 60% with immediate effect. The lending limit has been hiked on par with the recommendations by the KUB Rao Working Group formed by the RBI in 2012. It has suggested extension of limit to facilitate monetisation of idle gold. Only the intrinsic value of the gold will be taken into account while calculating the loan amount and no other costs such as making charges will be added to it, RBI said. Certification on purity of gold by NBFCs is necessary to establish the maximum loan amount and the reserve price for auction. However, the firms can include suitable caveats to safeguard them from disputes on redemption, it said. In case, gold jewellery used as collateral weighs more than 20g, verification of ownership is mandatory via a suitable document stating the manner in which the ownership was established, the central bank added.